Laundromat with machines activated using the coin-less Easy Card debit system. 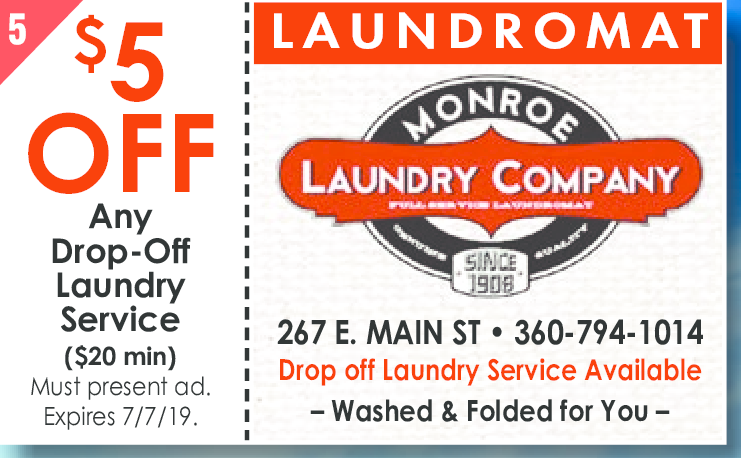 Any Drop-Off Laundry Service ($20 min) Must present ad. Expires 7/7/19.